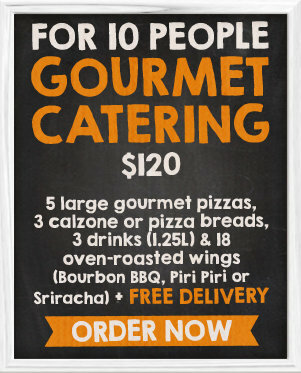 Feed A Crowd with FREE DELIVERY! 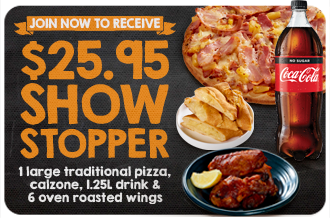 *Terms and conditions: Pizza Capers has the right to refuse any deal that is passed its expiry date. 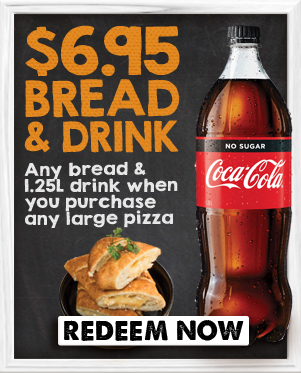 Deals (except for Catering Packs ) are not available on public holidays, with any other offer and are limited to one per customer per transaction. 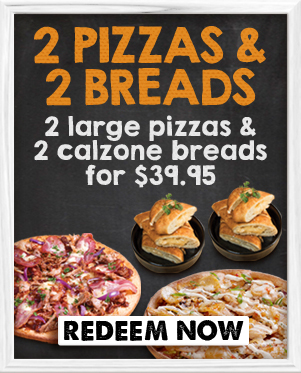 Surcharges may apply for additional toppings, ½ and ½, gluten free bread base and in some cases delivery. 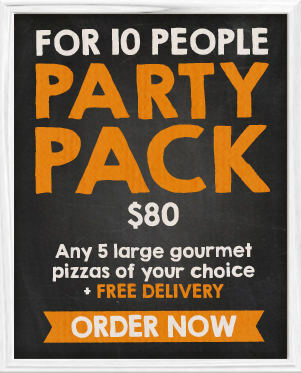 Free pizzas are always to equal or lesser value. 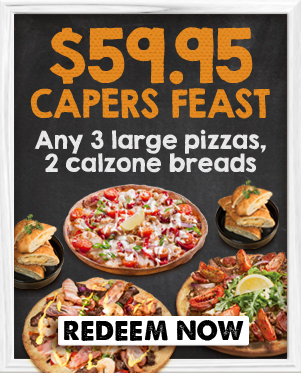 Capers Collection pizzas will attract a $5 surcharge when they are requested in a Traditional pizza deal. 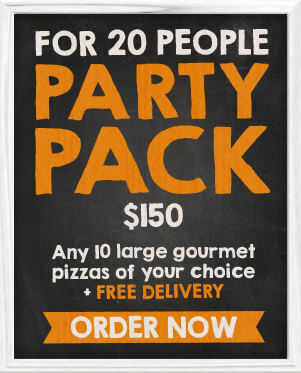 *Catering packs are not available with any other offer. 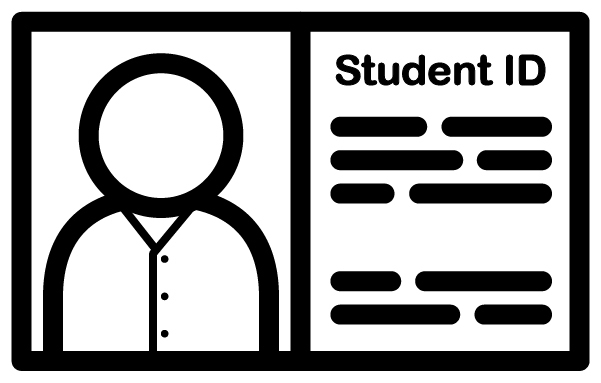 Surcharges apply for 1/2 and 1/2, additional toppings and gluten free bread. 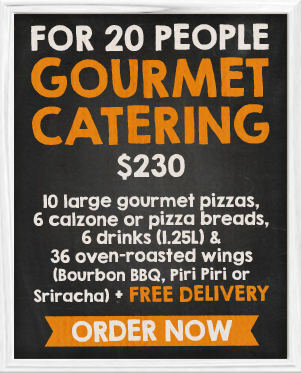 Please place catering orders 24 hours in advance.